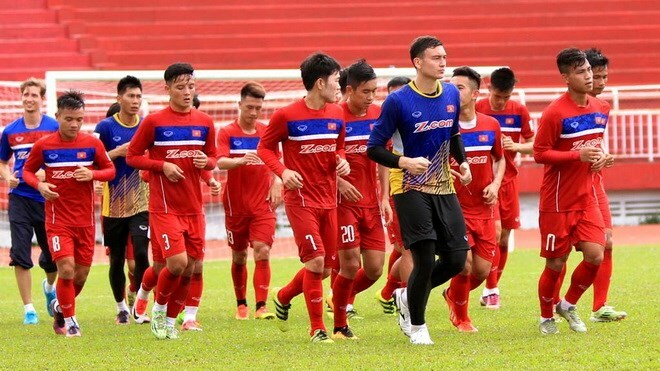 Hanoi (VNA) - The men's football team of Vietnam stood at the 134th place in the FIFA ranking in August, said the Vietnam Football Federation (VFF) on August 11. As the team did not compete in any important matches included in FIFA scoring system last month, it fell one place behind. With 231 points, the team remained at 22nd place in Asia and third in Southeast Asia. The Philippines led Southeast Asia, followed by Thailand, Myanmar and Malaysia. The U22 football team have arrived in Malaysia to participate the SEA Games 29.